History, Law and Christianity is a bolstered and re-published work of John Warick Montgomery. Written as a defense of the historical Jesus Christ, Montgomery presents a legal, courtroom argument for the validity of the Scriptural witness. This courtroom paradigm entails a large qualification that may be unheard of to many modern readers. 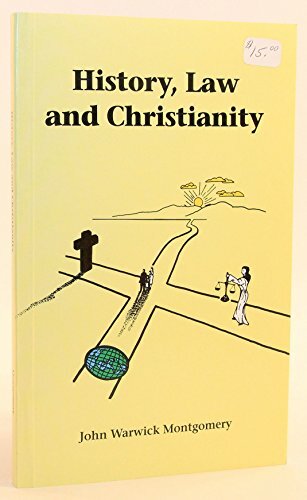 In the foreword, Parton helpfully states “the case for Christianity is never apodictically certain because 100 percent certainty only comes in matters of deductive logic or pure mathematics” (xi). For many, this non-absolute attitude towards apologetics may appear like a concession. A defense based upon the probability of evidence is easier to prove. Though an unfamiliar apologetic, this courtroom perspective has potential to be both refreshing and convincing in its refutation of liberal arguments. Having a long-standing and lauded law practice, Montgomery presents some stirring deconstruction of modernist errors in criticizing the Scriptures (7-10). This is one of the highlights of HLC despite it seemingly running counter to Montgomery’s objective. In the forward, Parton writes, “Montgomery stresses that the ‘burden of proof’ is actually on the Christian to establish the case for Christianity” (xi). The brunt of Montgomery’s cases is very similar to C.S. Lewis’s trilemma (33-44). What Montgomery brings to the forefront is a lawyer’s mind to the validity of both the witnesses and the case documents (54-63). Even staunch defenders of Christ and the Scriptures may remain unimpressed at these legal arguments that primarily leverage on probabilities. In this vein, Montgomery takes shots at both presuppositional and classical apologists on the interpretive nature of facts (71-73). Montgomery’s view may even strike readers as novel, as it imparts upon facts a status existing only within the context of modern courts. In conclusion, History, Law and Christianity is a short work that deserves to be read by anyone studying apologetics. Even if these arguments are not conforming to every preference, they demonstrate that belief in the Divine Christ of the Scriptures is reasonable. Though not Montgomery’s intent, the most valuable element of the work is the refutation of modern arguments that treat the Scripture differently than other ancient documents.